This mural was a project initiated by Google Fiber for several US cities, including Louisville. Portland was one of three Louisville neighborhoods chosen, and I was given the chance to design a mural that captured the mission of the Promise Building, which houses the Table, a pay-what-you-can café. The project began with learning about the mission of the Promise Building and coming up with a concept that would hopefully be meaningful to the community of Portland. The design started with large pencil sketches and tracings to develop the custom type, then became a vector version that professional sign painter Kirby Stafford used as a guide to paint the design onto the wall. 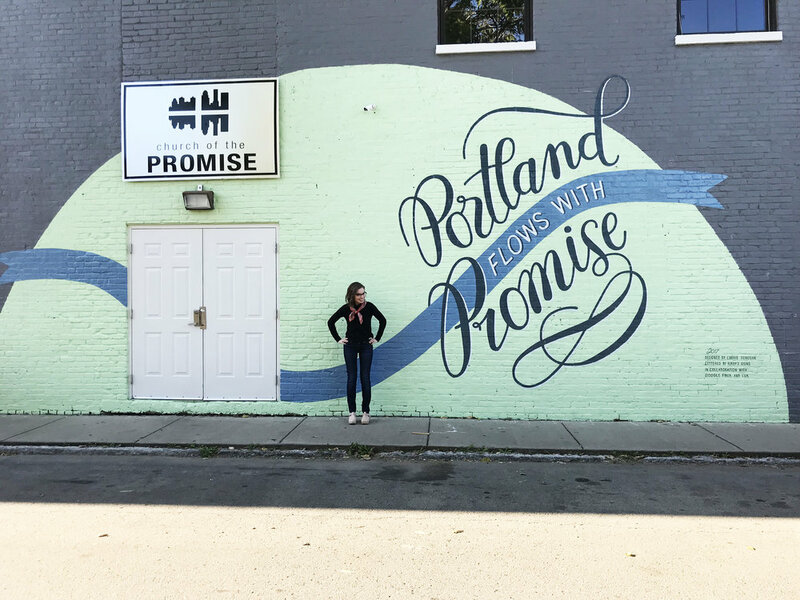 "Portland flows with promise" is a phrase that represents all that happens in the Promise Building, the site of the mural. The elements of the mural visually connect the different aspects of what happens in the Promise Building, and the banner and the type express the idea of flow—like the river, and like the way their work flows into the community. 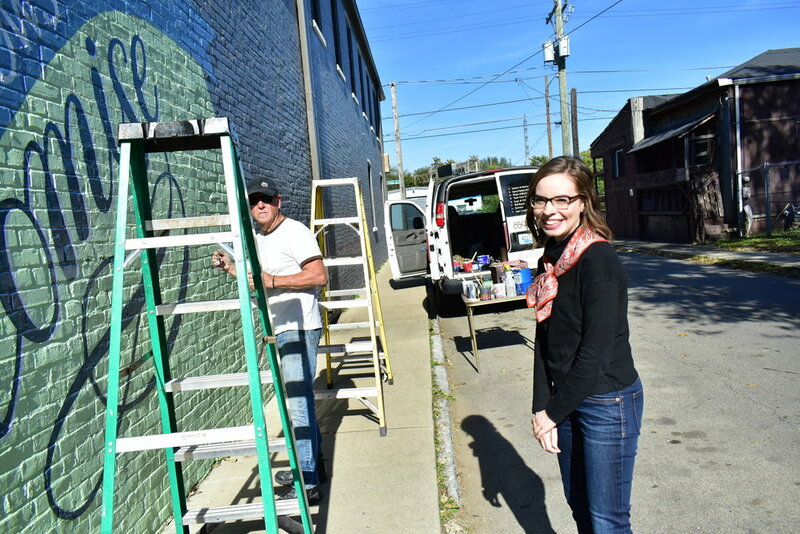 Video about Louisville Google Fiber murals directed by Emad Rashidi.